Belinda graduated from the University of Sydney (Cumberland Campus) with a Bachelor of Applied Science (Speech Pathology) in 1993. She commenced working in a private practice providing assessments and therapy services to children and adults across the scope of practice. Eager to continue to develop her clinical knowledge, she enrolled in a Master of Applied Linguistics at Macquarie University, completing the master’s degree in 1996. 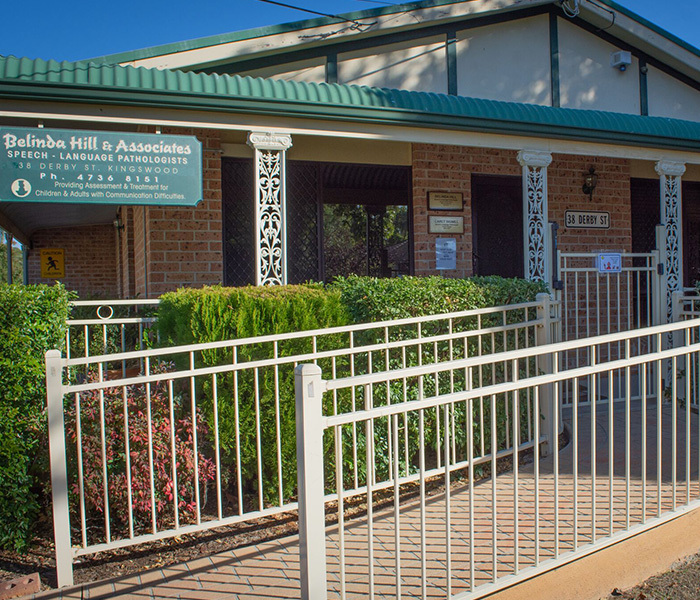 Belinda opened her private practice in 1995 and has operated her multidisciplinary allied health service in the Penrith and Blue Mountains region since that time. She continues to provide clinical services to children and adults combined with her local and national leadership roles. In addition to her clinical responsibilities Belinda supervisors and mentors her staff and speech pathology students on clinical placement. She provides professional development to teachers, health professionals and parents in the areas of communication development. She has delivered workshops locally and to her speech pathology colleagues at state events and the SPA National conference. 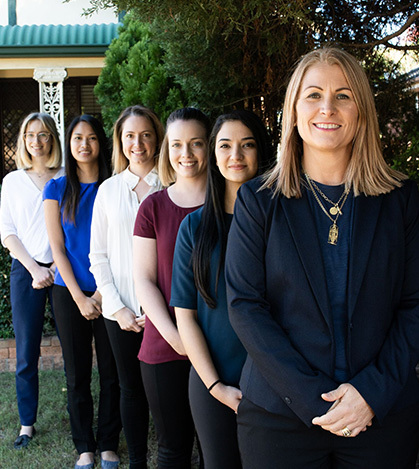 Belinda’s ongoing interest in students and clinical education led to a 2 year position as the Clinical Education Manager at Macquarie University’s Master of Speech Pathology program in 2012. She continues this interest in the development and training of upcoming speech pathologists, offering clinical placements to Sydney universities throughout the year. Belinda has worked in a number of unique contexts, including participation in a health survey in a number of juvenile justice centres across NSW. This research project involved assessing the communication and literacy skills of juveniles in justice settings. A highlight of her career has been the rural school program she has delivered for the past 11 years at Nyngan Public School in central west NSW. Further to this work she has established a telehealth program which the clinical staff continue to implement throughout the school term with the students and support teacher at the school. Belinda is the Allied Health Advisory Committee Chair at the Nepean Blue Mountains Primary Health Network. She is also the Allied Health Advisor on the Clinical Council of the NBMPHN. Belinda has served as a Director on the Board of Speech Pathology Australia since 2014, holding the position of Vice President Operations 2015-2018 and Vice President Communications from 2018. Carly graduated from Sydney University with a Bachelor of Applied Science in Speech Pathology and has been working at Belinda Hill and Associates since 2011. During her time at university she developed a firm interest in working with individuals with complex communication difficulties. She enjoys the design and implementation of augmentative and alternative communication systems. Carly enjoys building relationships with individuals, their families and support networks and promoting communication accessibility. Carly also has a key interest in working with clients in developing their literacy skills, through understanding the current research and implementing into her clinical practice. She is able to further progress this interest to clients in rural contexts through provision of therapy services via telehealth to a NSW rural school. She trains support staff in treatment of speech, language and literacy difficulties while also working directly with the children. Carly assists with the coordination and delivery of our clinical education program. She works with the university speech students on placement and the clinic staff in supervising these students. She has facilitated ongoing relationships with the major universities training speech pathology students in Sydney. Priscilla completed her Bachelor of Applied Science in Speech Pathology at the University of Sydney and commenced working in our clinic upon graduation. 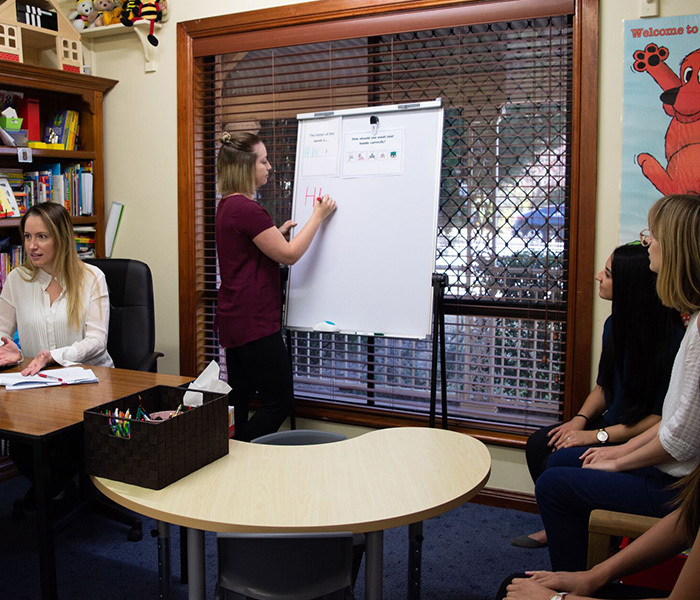 Priscilla has also worked in school settings, conducting individual and group sessions with children who experience speech and language delays and liaising with teachers about speech pathology interventions. Priscilla carries out assessment and intervention for a variety of paediatric and adult clients. She has particular interests in a number of areas including, working with children who stutter, providing early intervention for paediatric clients with speech and language delays, and working with children diagnosed with Autism Spectrum Disorder. She strongly supports parent education and training and endeavours to support parents and children to enable them to engage in language-rich activities in their home environment which promotes success with speech, language and social communication goals. Amelia completed a Bachelor of Health Applied Science in Speech Pathology at the University of Sydney. While undertaking this training, she gained experience working with adults at St Joseph’s Hospital in Auburn and Orange Health Service. In addition to gaining experience in a range of community settings, Amelia had the opportunity to develop clinical skills in rural settings, providing school-based speech pathology services in Broken Hill and Wilcannia. Amelia works with both adults and children with interest and additional training in acquired communication difficulties relating to stroke, progressive neurological diseases and traumatic brain injury. She is continuing to develop her clinical skills in providing care for children with difficulties in literacy and adults with dysphagia (swallowing difficulties). Amelia enjoys thinking of fun activities to motivate children with low self-esteem or difficulties concentrating, to build their confidence and skills in communication. Amelia seeks to choose appropriate and meaningful goals in collaboration with her clients, so they can express themselves to the best of their ability. Amelia believes in client-centred, evidence-based practice, and equipping clients with accurate and pertinent information to make the best therapy decisions. Kenny completed his Bachelor of Arts with a focus on languages and linguistics at the University of New South Wales before pursuing Master of Speech Language Pathology at the University of Sydney. Kenny obtained clinical experience with our team working with adolescents and adults during his time as a student, joining as a member upon graduation. Kenny provides assessment and intervention for clients across the lifespan, working with children, adolescents, and adults to meet their communication and swallowing needs. He has a keen interest in working with clients who have difficulties with literacy, social skills, swallowing, and higher order language. Kenny collaborates with clients in order to determine appropriate and relevant goals for therapy so they can improve their participation in life. He believes in combining his clinical knowledge with the most robust available evidence and the needs of the client to achieve the best therapy outcomes, and is always working on improving his knowledge. Allison completed her Bachelor of Applied Science (Speech Pathology) at the University of Sydney. She currently works within schools, homes and in the clinic to deliver evidence-based practice to both children and adults in the areas of language, speech, voice, fluency, dysphagia and disability. Helping others find the tools to access their right to communicate is of the utmost importance for Allison, who has an interest in the use of Augmentative and Alternative Communication (AAC) such as iPad apps and switches to encourage communication with children and adults who have complex communication needs. Allison’s other interests include developing literacy skills in school aged children and managing swallowing difficulties in adult populations. Jodie graduated from Australian Catholic University with a Bachelor of Occupational Therapy. 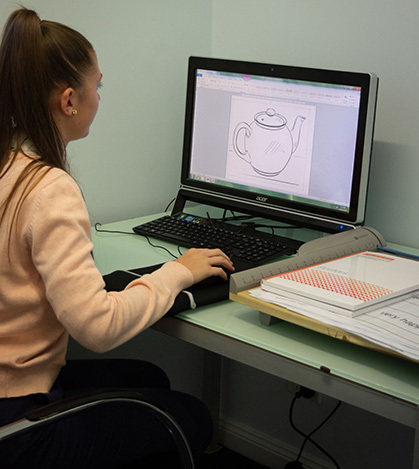 Throughout her degree she experienced a wide range of occupational therapy settings including acute neurosciences, acute aged care and paediatrics in school and rural based settings. In the school setting, she worked with children with vision impairments to participate within the classroom setting. This involved with collaborating with specialised teachers in both additional needs and vision impairment to develop individualised strategies to facilitate participation and development. The highlight of her degree was the opportunity to travel to rural Vietnam to work in a range of paediatric settings with children with a wide variety of complex needs. In particular, she worked with children with diagnoses of Autism Spectrum Disorder and Cerebral Palsy. She collaborated with children and families to provide occupational therapy assessment and interventions with limited resources that could be sustained in the future. This also involved working with other disciplines, particularly physiotherapy, to reach individualised goals. From this experience she learned the importance of family involvement in child development. reach their goals and growing independence. Jodie is a member of Occupational Therapy Australia. Elizabeth graduated from Western Sydney University in 2018 with a Bachelor of Occupational Therapy (First class Honours). During her studies, Elizabeth gained experience working with children and adults with a variety of physical, intellectual and developmental disabilities and mental health conditions. This experience was attained across community, in-patient rehabilitation and hospital settings. Elizabeth also spent time in Hong Kong learning about research advances in the field of rehabilitation sciences after being awarded a scholarship to the Hong Kong Polytechnic University Summer Overseas Exchange Subsidy Scheme. Elizabeth has a passion for research, completing a research study as part of her honours project titled “Experiences and perceptions of families/carers of emerging adults with disability in relation to the National Disability Insurance Scheme”. With a research background, Elizabeth is committed to providing interventions that are evidence-based for all of her clients. As an occupational therapist, Elizabeth is dedicated to enabling both adult and paediatric clients to participate in everyday occupations that are important to them including school, work, play, self-care and leisure occupations. Elizabeth is committed to working collaboratively with clients, their families, school teachers and other health professionals to develop and achieve goals that will facilitate their engagement, participation and independence. Elizabeth hopes to continue gaining experience, increasing her knowledge and skills as an occupational therapist. Elizabeth is a member of Occupational Therapy Australia.